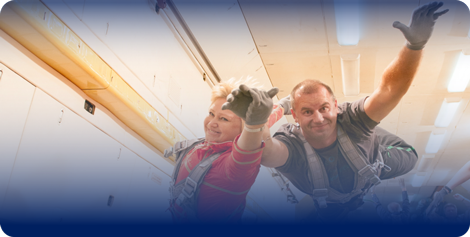 Zero G flight booking is available now! 25-26 of April 2017! 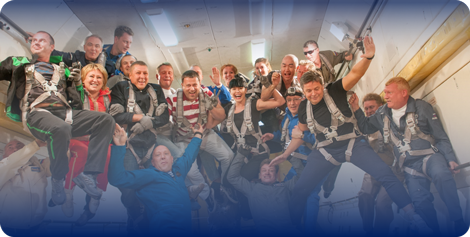 We invite everyone who want to test himself and join a great Adventure – Zero G flight! 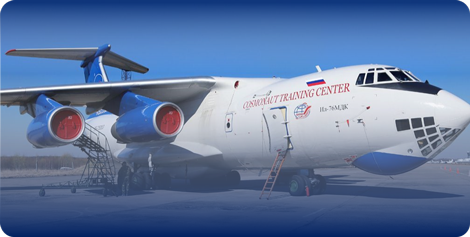 Zero Gravity flight is taken on IL-76 MDK aircraft which is a plane-laboratory and included in a mandatory list of cosmonaut training programs as one of space travel drills for tourists. 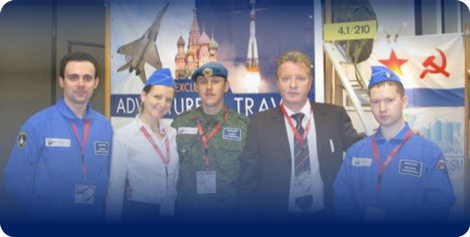 We arrange commercial flights for tourists every year, the flights are conducted 25 km from Moscow (Star City – Chkalovsky airfield). 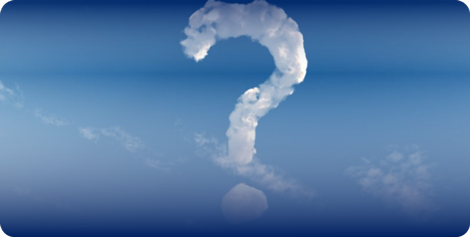 The price for Zero Gravity flight is 4 000 EUROs. Maximum amount of participants – 14 individuals. 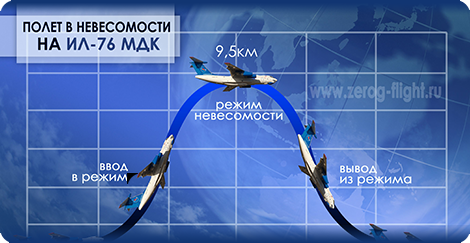 During the flight the plane will commit 10 Zero Gravity modes 25-28 seconds each. The flights are performed under a control of GCTC instructors. 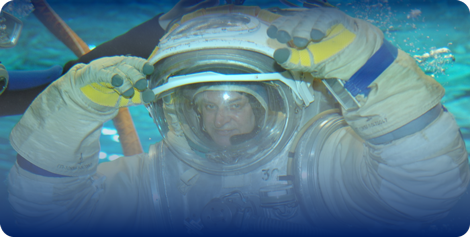 The flight includes medical check, briefing in GCTC and a Zero Gravity flight itself. After the flight all participants receive memorable certificates about their unique Zero G flight! The adventure takes 3-4 hours. Please remember that the amount of places available is limited, so do not hesitate! Group flight will be fascinating and entertaining adventure for you and your friends! The adventure will unite all participants and grant you a bunch of unforgettable memories!